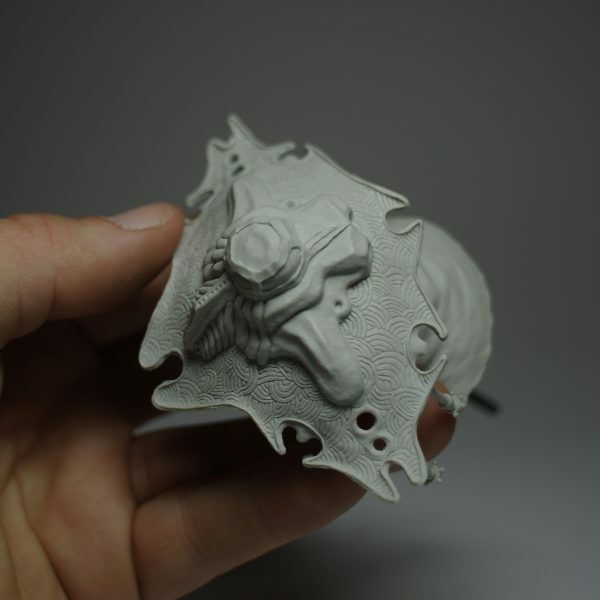 “Manta” is a signed and numbered limited edition of resin casts. 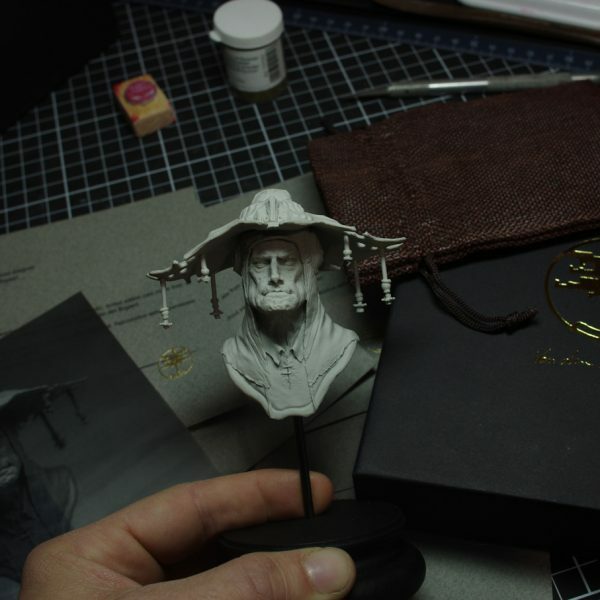 The sculpture is an homage of one of the greatest illustrator and drawer of our era, Jean Giraud alias Moebius. The character is an ageless shaman, wrapped in a richely embellished coat, calmly scrutinizing the horizon. 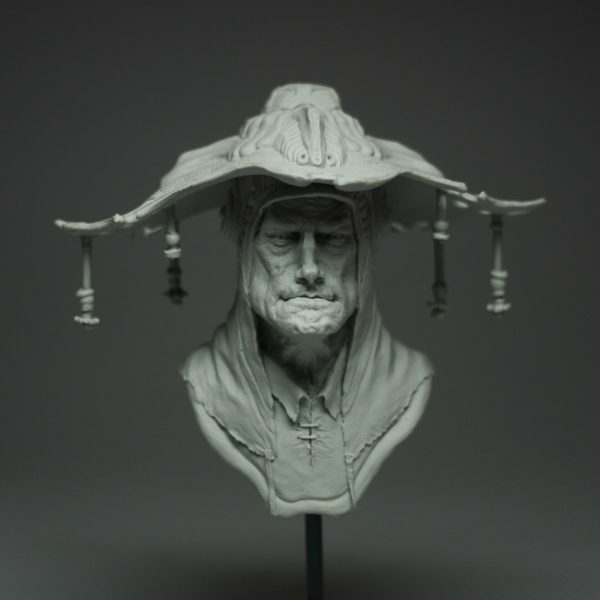 The quality of the casting reproduces excatly each details of the sculptjob and allows painters to add colours to this peacefull and serious shaman. 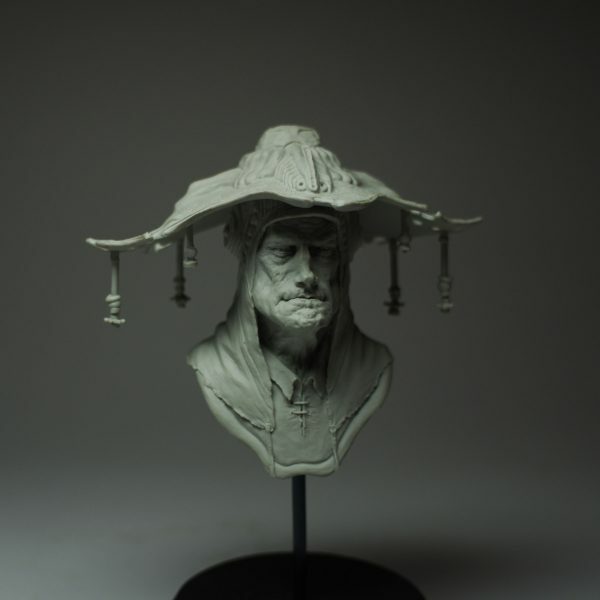 This figure is designed and sculpted by Romain Van den Bogaert in his studio. 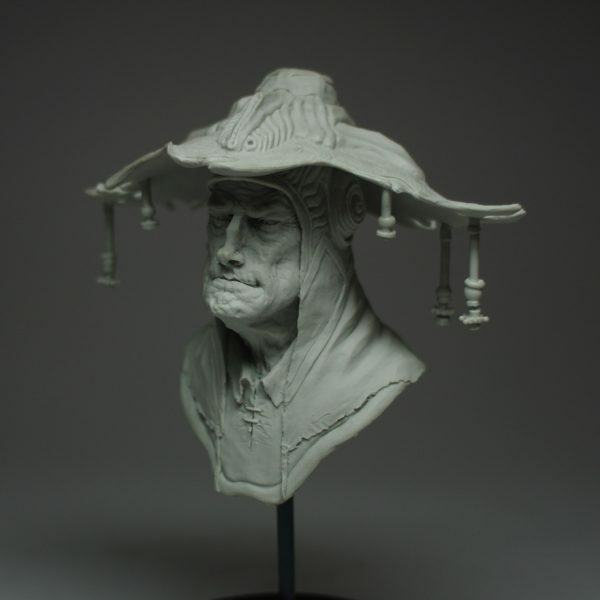 Castings are done in France by a resin caster with 40 years of experience. The edition size is limited to 150 copies and will never be recasted. 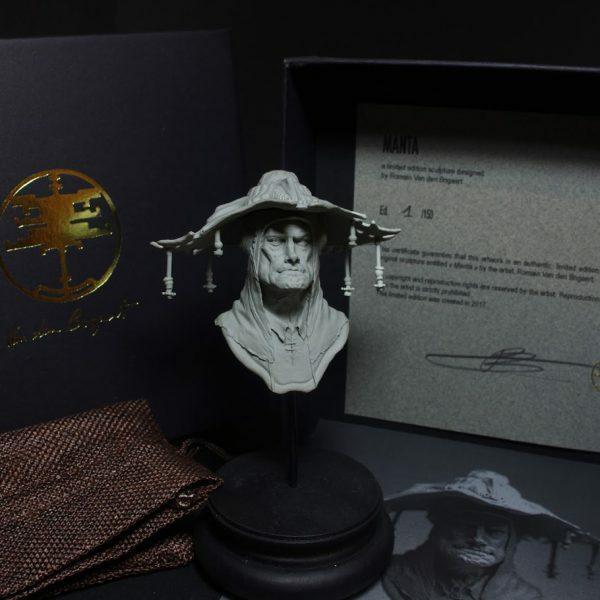 The certificate of authenticity is included and the 48 first come with a handmande hot embossed logo.